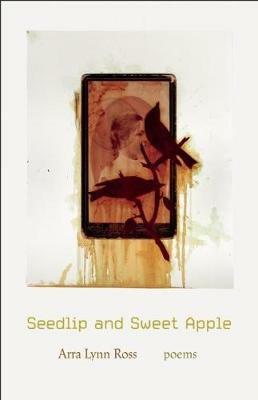 Seamlessly bridging the material and spiritual worlds, Seedlip and Sweet Apple takes the reader into the mind of a true visionary: Mother Ann Lee, the founder of the Shaker religion in colonial America. With astonishingly original poems inspired by extensive historical research, Arra Lynn Ross creates a collection linked thematically through the voice and story of the woman who was believed by her followers to be Christ incarnate. Broadly and inclusively spiritual, this remarkable debut captures the ineffable experience of ecstatic vision, activating the progression from literal reality to heightened perception. Simultaneously, this journey delves into the manifold issues of gender and religion, public image, and charismatic leadership, as well as the line between cult and commune and the tenuous bond between faith and behavior. Written in an impressive cornucopia of forms -- including iambic quatrains, free verse, and prose poems -- Seedlip and Sweet Apple honors a complex figure startlingly relevant to contemporary life, pointing to a revolutionary way to work at living -- and to live in working -- that promises simplicity, peace, and joy.